It’s been ten years since Hawai‘i launched its “Clean Energy Initiative” to reduce the state’s dependence on fossil fuels. 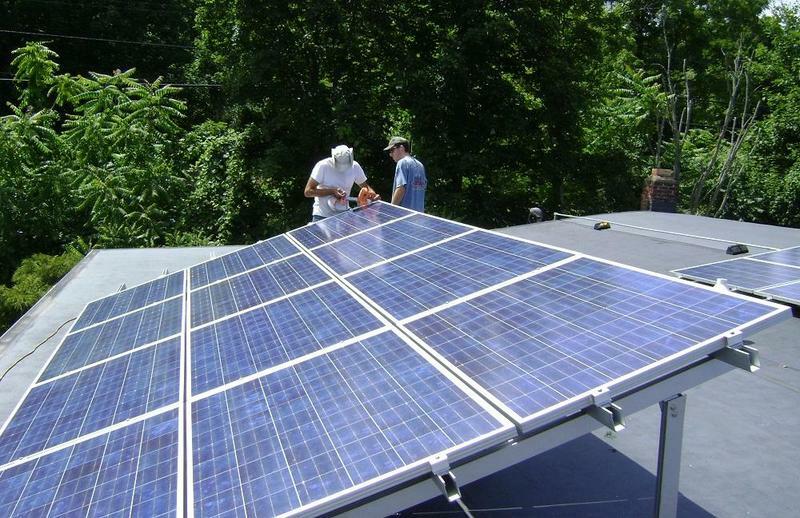 According to the Department of Land and Natural Resources, renewable energy now accounts for about 27 percent of utility electricity sales across the state. 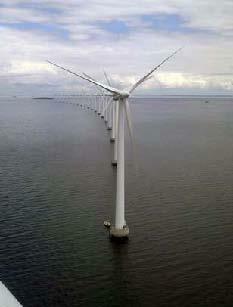 So far, off shore wind energy has not played a role in those figures, but it’s a different story elsewhere. And in Japan, government officials are taking steps to increase its use. HPR’s Bill Dorman has more in today’s Asia Minute. Chinese authorities are reporting a potential breakthrough in the world of energy. 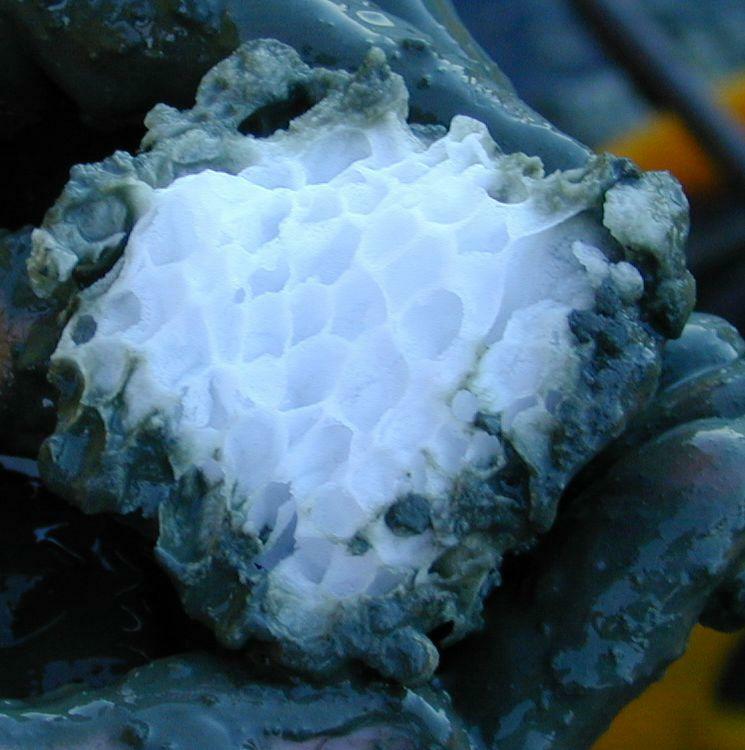 It relates to an energy source that comes from under the ocean, but many questions and challenges remain. HPR’s Bill Dorman has more in today’s Asia Minute. Asia Minute: Australian Energy Lessons for Hawai‘i? 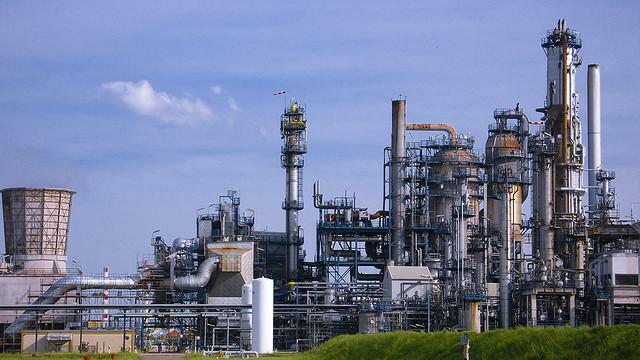 Government and industry officials are considering what energy investments will be required over the next several decades. 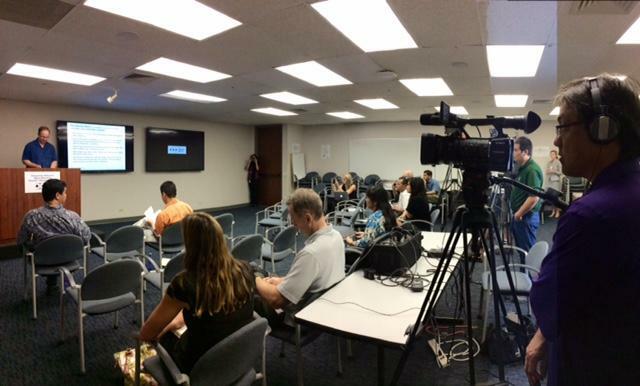 It’s a discussion that’s going on in Hawai‘i as regulators consider NextEra’s bid for Hawaiian Electric Industries. But it’s also a conversation that’s happening right now in Australia. HPR’s Bill Dorman has more in today’s Asia Minute. 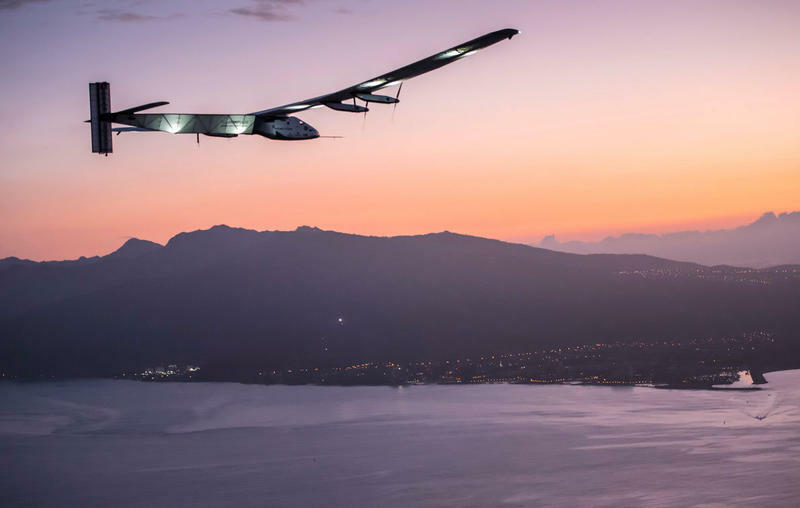 A plane attempting to fly around the world, powered only by the sun, has landed safely in Hawai‘i. The 4,000 mile flight over the Pacific Ocean was the plane’s longest and most challenging leg. The Swiss pilot Andre Borschberg emerged from the cockpit, as the sun began to rise over Kalaeloa Airport outside Honolulu. Borschberg had spent the last 118 hours alone in the air, nearly five full days flying from Japan. The sale of Hawaiian Electric to the Florida-based company NextEra Energy passed a key vote Wednesday. 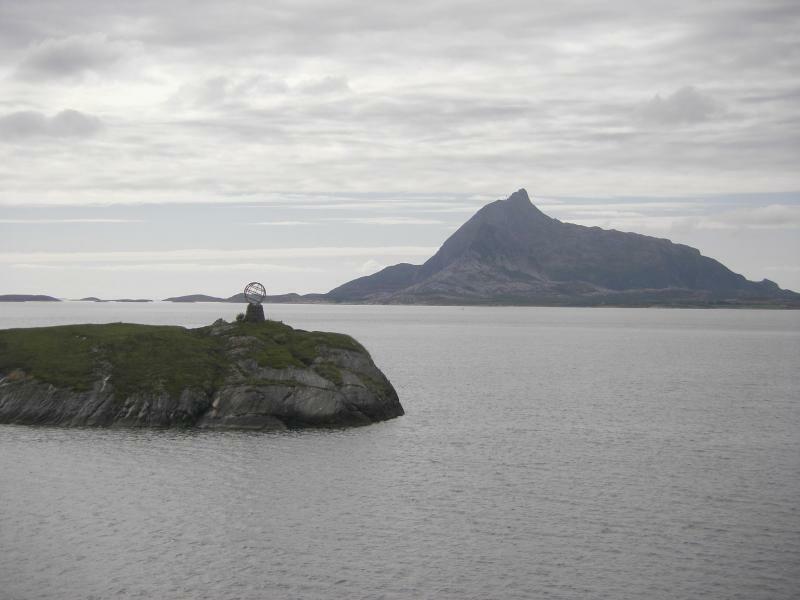 Shareholders approved the deal with 76% of outstanding shares voting ‘yes.’ HPR’s Molly Solomon was at the meeting and has this report. 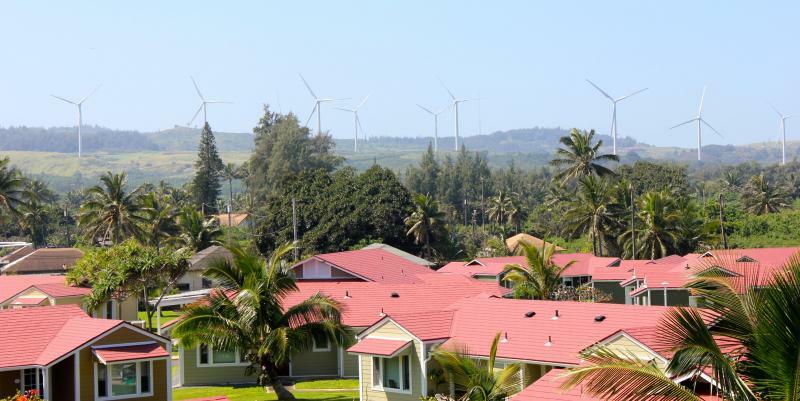 Does The Deal Between Hawaiian Electric and NextEra Make Financial Sense? Shareholders of Hawaiian Electric today approved the $4.3 billion sale of the company to Florida-based NextEra Energy. 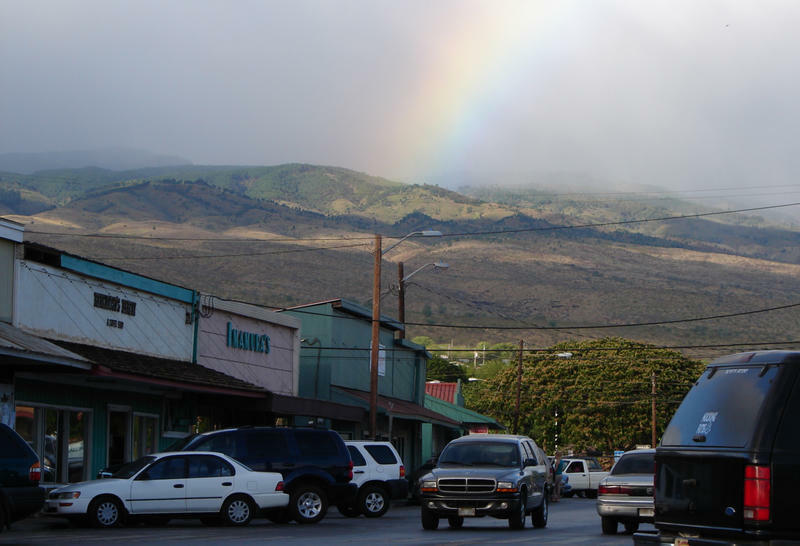 There are still many steps remaining before the deal becomes final, including approval by Hawai‘i’s Public Utilities Commission. The Governor signed four energy-related bills into law today, establishing the state as a leader in renewable sources for power. HPR’s Wayne Yoshioka reports. Hawai’i is now the first state in the nation to adopt a 100 percent renewable energy requirement for electricity generation by 2045. 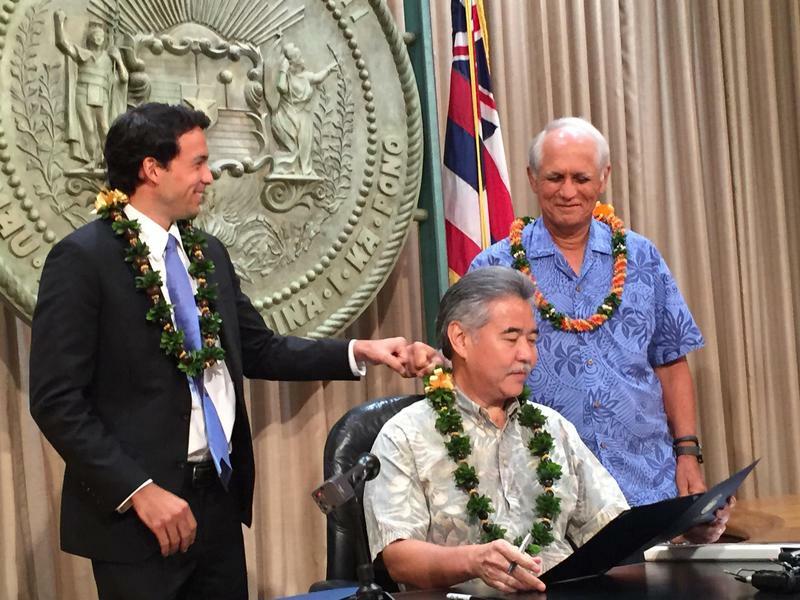 Governor David Ige signed the measure into law and said it raises the renewable percentage levels for all utilities going forward. More than half of the state’s residents live in Honolulu, O’ahu’s urban core. State lawmakers are attempting to address the needs of a growing population living in condominiums. HPR’s Wayne Yoshioka reports. 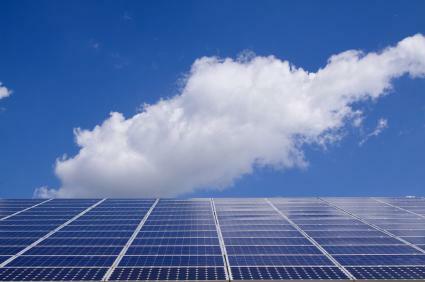 Hawaiian Electric has announced a proposal that would greatly increase the amount of rooftop solar. 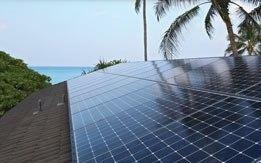 It's all part of a plan that would help the utilities on Oahu, The Big Island, and Maui County triple the amount of solar power by 2030. But critics warn this could come at a price. HPR's Molly Solomon reports. A local ice rink is tapping into the sun to keep its facilities cool. 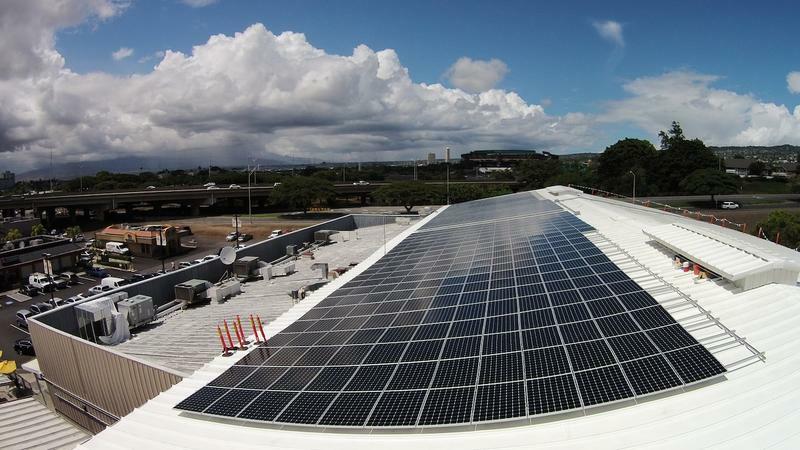 Ice Palace Hawai‘i announced the completion of a rooftop solar power project that could cut down their energy bill by 25%. HPR’s Molly Solomon has more. It’s a business deal that will change the face of business in the state. 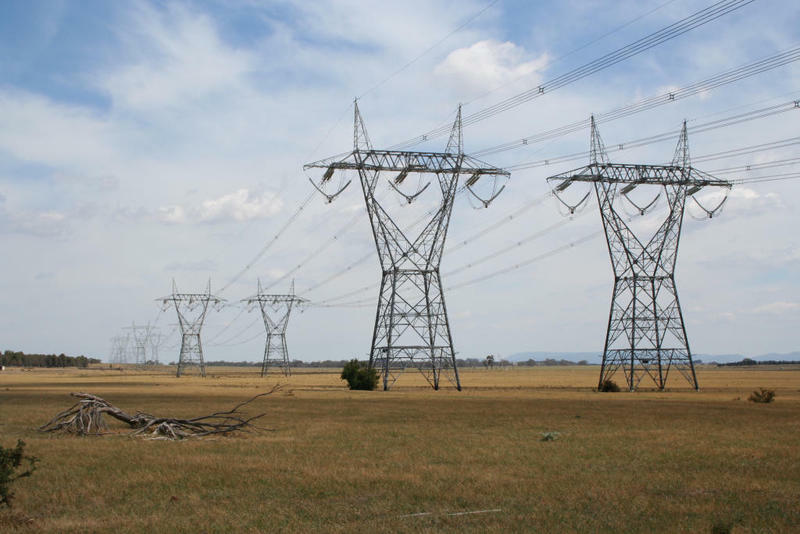 Florida-based NextEra Energy is buying Hawaiian Electric Industries in a $4.3 billion deal. As part of the agreement, American Savings Bank would become a separate publicly-traded company. HPR’s Bill Dorman has more. According to a number of national reports, Hawaii ranks number three for solar photovoltaic generation for electricity, behind Arizona and Nevada. 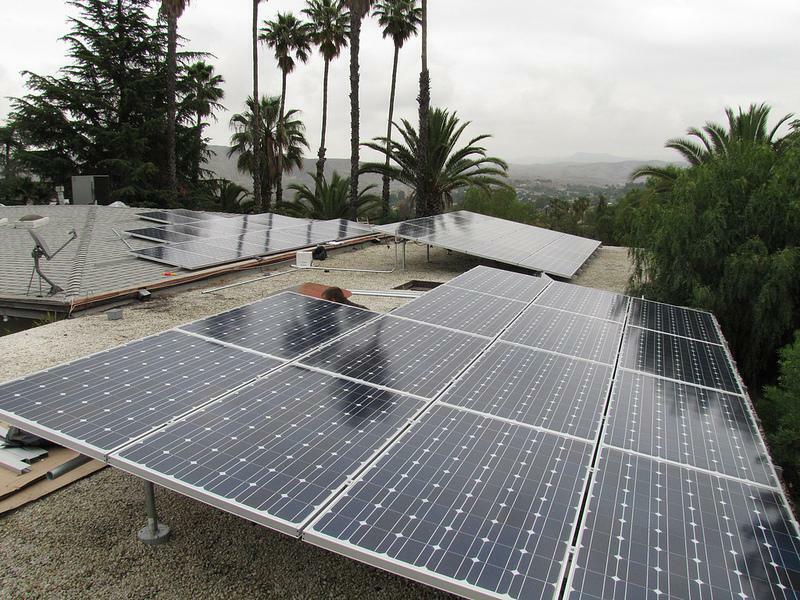 The entire PV industry has grown exponentially throughout the state over the last few years, but the question is will that growth continue into the future? That was the focus of a ThinkTech - Venture Capital Association discussion panel today. HPR’s Wayne Yoshioka reports. You have heard these figures before: Hawai’i burns five billion dollars worth of fossil fuel each year for 85% of the state’s energy needs. 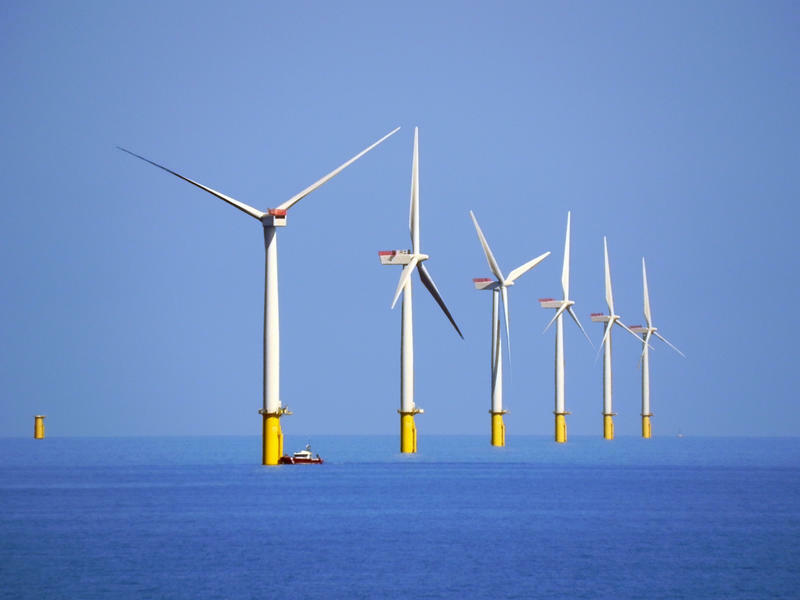 But, the Blue Planet Foundation has set a goal of transitioning to 100% clean energy by 2030, more than double the state’s clean energy objective. 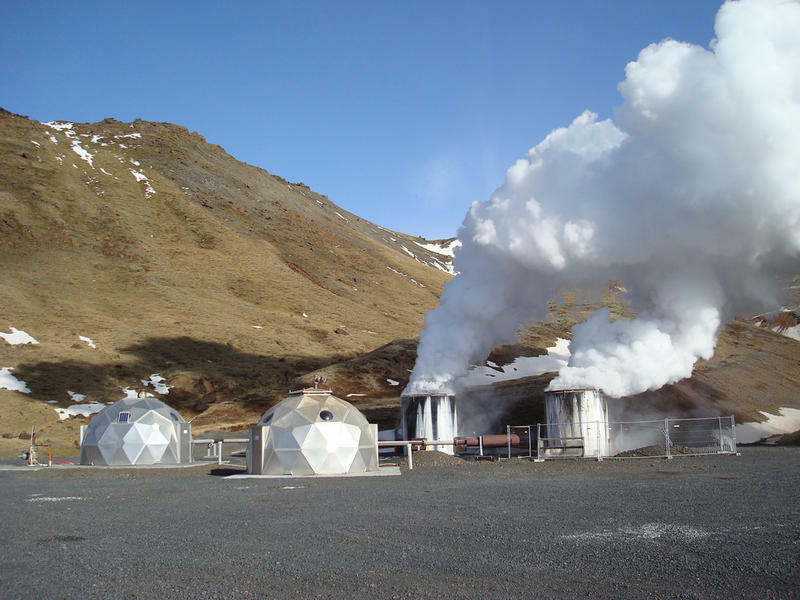 HPR’s Wayne Yoshioka attended the Asia Pacific Clean Energy Summit today to look at an old but promising technology that could lead Hawai’i to true energy independence. 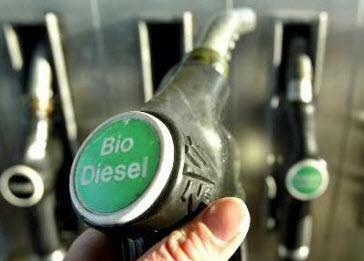 This fuel can power a motor vehicle, produce energy without combustion, and release pure water vapor through the exhaust pipe. 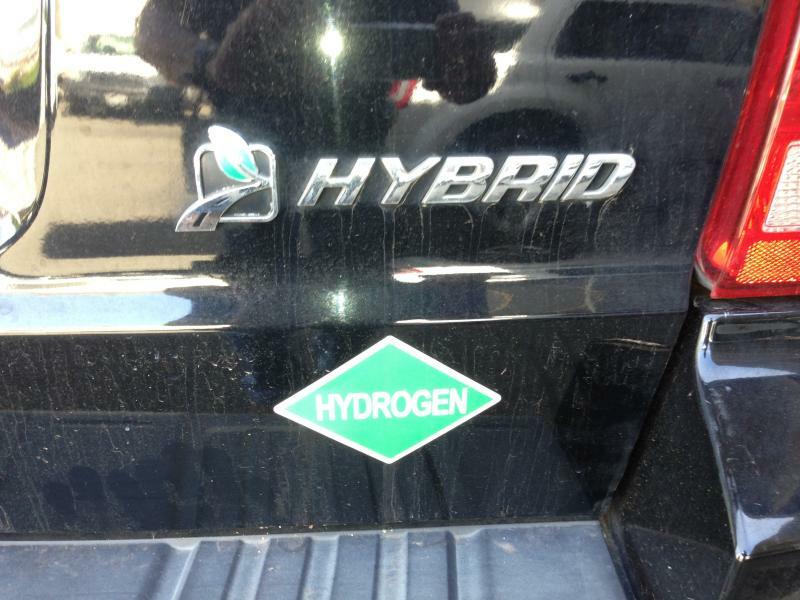 As HPR’s Wayne Yoshioka reports, it’s the cleanest alternative fuel technology ever---and it’s being demonstrated in Hawai’i. 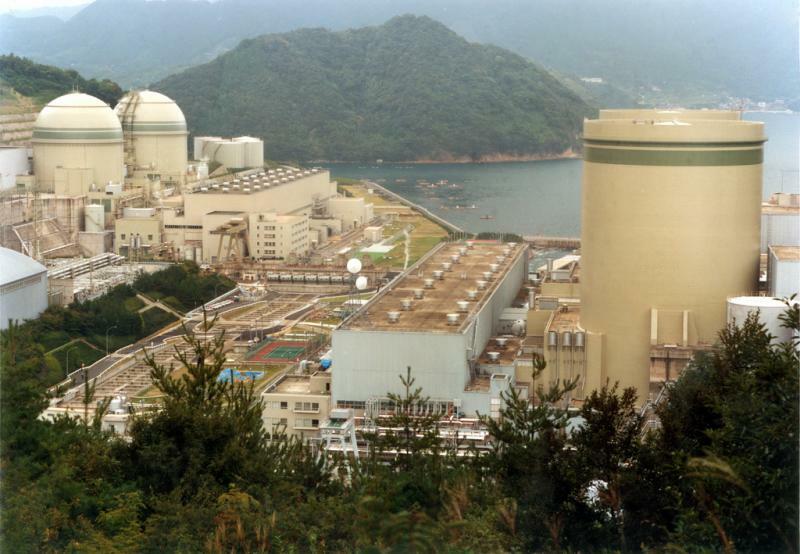 Nuclear power is slowly making a comeback in Japan. 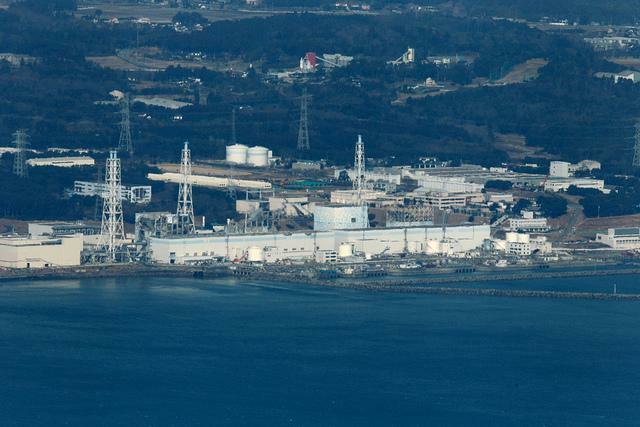 It’s been more than two years since an earthquake and tsunami crippled a nuclear plant in the north of the country. This week, several utilities are taking initial steps to return to operation. HPR’s Bill Dorman has more in today’s Asia Minute.